My 1 year hormone mark, MTF transgender.. Reaching out. Topic: My 1 year hormone mark, MTF transgender.. Reaching out. 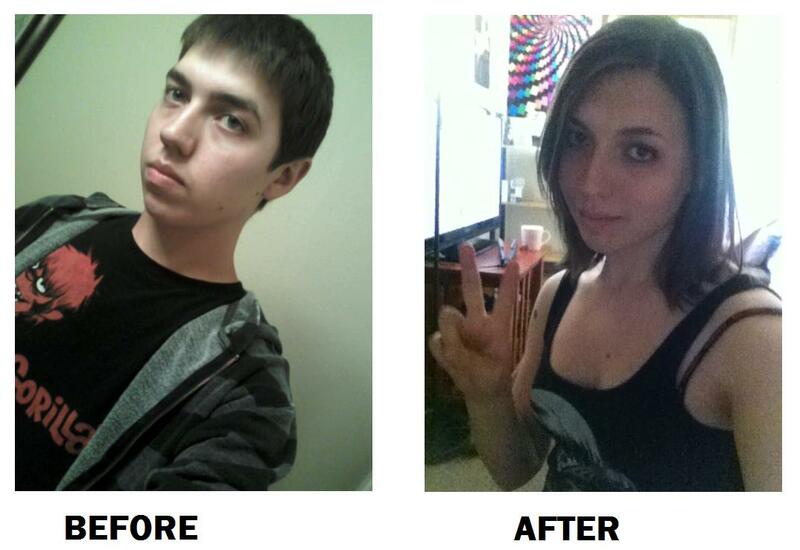 Re: My 1 year hormone mark, MTF transgender.. Reaching out. Courage is the power that turn dreams into reality. Nice to meet ya. Looks like you're doing great and very kind of you to reach out. Welcome! You look great! I'm sure your one year anniversary pictures with help others relax & enjoy the slow but lovely changes. It is very good of you to offer support to other girl friends. Congratulations on your anniversary, Ashley. You are really cute. Happy Birthday Ashley!!!!!! You look beautiful. And oh yeah welcome to Susan's. Amazing transformation nearly eight month mark myself. Wow, amazing what one year can do. Happy anniversary! You look much happier. Very nice! What MMO's do you play? Right now Tera and Entropia Universe. Hi Ashley and welcome to Susan's. Ashley, I dropped your YouTube channel into your profile for you.